Babies spend such a huge part of their day sleeping, shouldn't the surface they sleep on be safe for them? Unfortunately most conventional mattresses are loaded with toxic fire retardants and other chemicals, especially those that are imported, according to this test by Chicago Tribune. Thankfully there are many safer options, including the line of U.S. made non-toxic crib mattresses from Sopora. Normally the caveat with Eco-friendly mattresses is that they are expensive, especially those that are made in the USA. Now, a safe sleeping surface is affordable with Sopora, the prices start at just $167 for a Classic Crib Mattress! Why buy a conventional, imported mattress when you can get one for a comparable price that's made right in the U.S. and will let you sleep easy knowing your baby is safe? 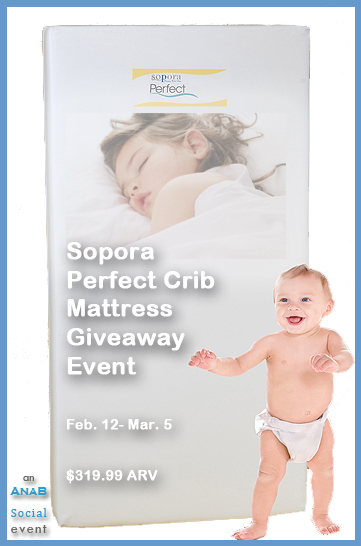 Purchase: You can purchase the Sopora Perfect Crib Mattress directly from the brand. 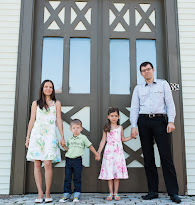 They have many other options available, including changing pads and bassinet/cradle mattresses. A few Sopora crib mattresses are also available on Amazon. Win It! Sopora is blessing one of you with the Perfect Crib Mattress. Special thanks to AnaB Social for hosting this giveaway. Huge thanks to all participating bloggers as well! Giveaway ends March 6th at 12:01 am, open to US residents, ages 18+. To enter please use the Rafflecopter form below (see directions on how to enter here). Thank you! Thank you for your review and for this awesome giveaway. My eyes have been opened to definitely choosing a crib mattress that is non-toxic. I never knew there even was an option for "non-toxic." 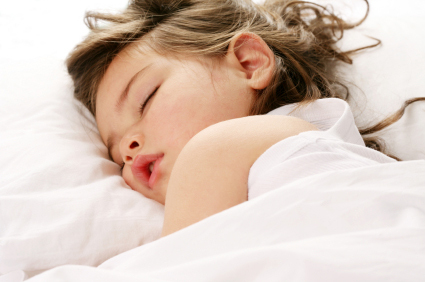 Parents need to know about these mattresses.